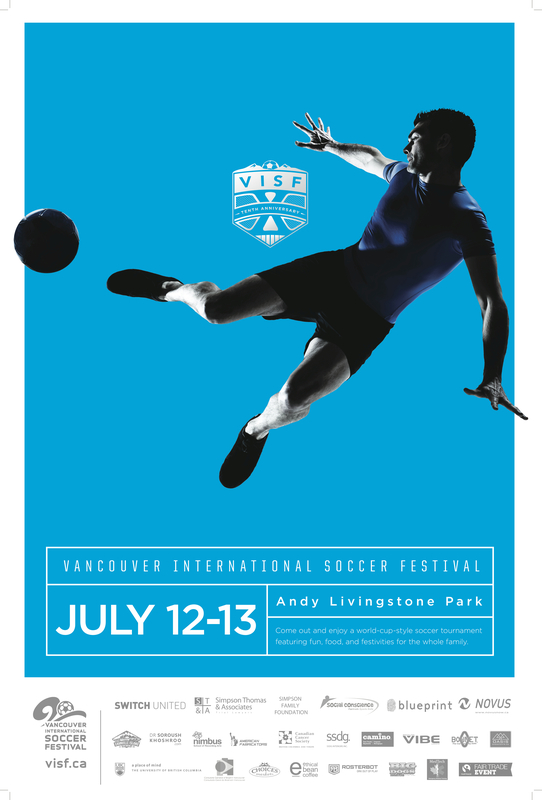 VANCOUVER, BC, CANADA – The Vancouver International Soccer Festival (VISF) celebrated its 10th year on July 12-13, 2014 during the weekend of the FIFA Men’s World Cup Final. The weather, the festivities, the matches, and the World Cup Final all contributed to making this arguably the best tournament in its history! The VISF is a 7-on-7 World Cup-style soccer tournament that brings together up to 36 men’s, women’s and co-ed soccer teams with players from Canada, the U.S.A., local international schools, and multi-cultural communities to celebrate “the beautiful game” and showcase diversity and cultural harmony. Elders from the Musqueam Nation (VISF Host First Nation) officially opened the festival at Andy Livingstone Park in downtown Vancouver and Ambassador Ernesto Otto Rubarth, Brazilian Consul General in Vancouver attended the festivities and welcomed guests. The Vancouver International Soccer Festival has aimed to include fair trade products wherever possible. All matches were played with VOLO Athletics’s Special 10th Anniversary Edition PRO 2 Fair Trade Certified and FIFA Approved performance soccer balls. As well, various Fair Trade certified food and beverage options were available to participants. 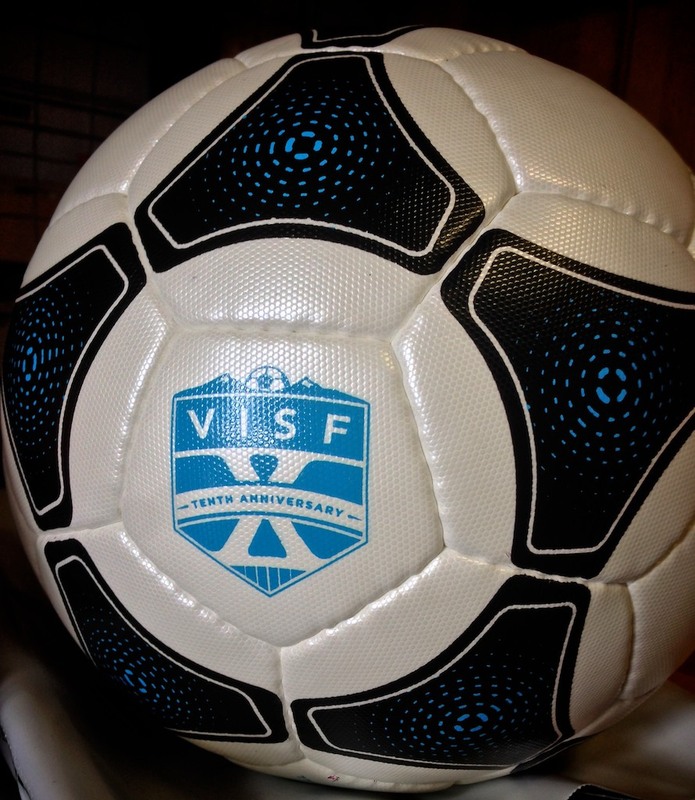 As a result of these efforts, VISF was recognized by Fairtrade Canada for the second year in a row as the only Fair Trade Soccer Event in Canada – meaning fair trade goods were specifically chosen over conventional products. The principles of fair trade and the Fair Trade City designation held by the City of Vancouver align with the values of inclusion, equality, and respect that are espoused by the Vancouver International Soccer Festival. 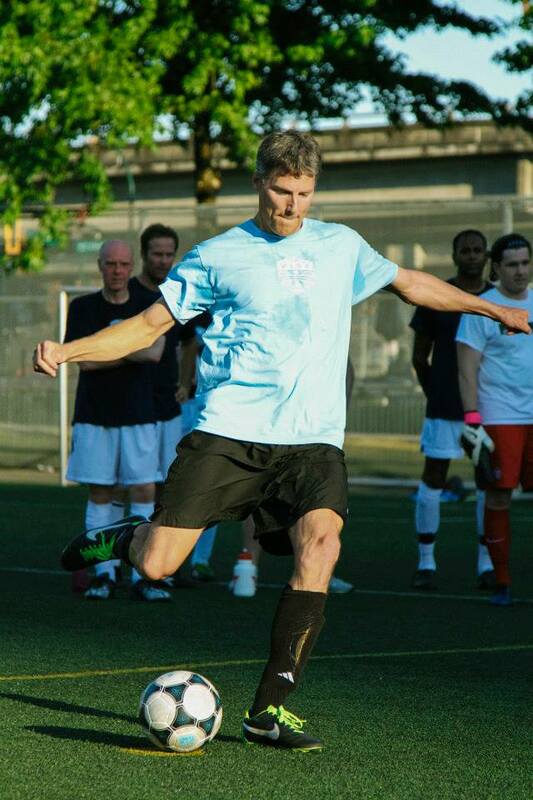 A point further acknowledged by the presence and support of Vancouver Mayor Gregor Robertson in VISF’s opening friendly match. “Soccer has an incredible power that can be used to make this world a better place. We work within this powerful platform to promote peace, equality, health, and education for everyone,” says Adri Hamael, the Founder and Executive Director of VISF and the One Team for Peace Society. All Fair Trade products were provided courtesy of the event’s partners, including 500 bananas from Discovery Organics, coffee from Ethical Bean, Chocolate Snack Bars from Camino, and of course official match balls from VOLO Athletics. 2015 promises to be an exciting year again for VISF as Vancouver is host to the FIFA Women’s World Cup! Thanks to all participants, partners and sponsors. We look forward to seeing you again next year!